Now I get what appears to me to be contradictory results. How can we explain this? Isn't es the total combination of all spanish languages from different countries? I'm experimenting exactly the same with Russian ru which went down quite a lot while ru-ru went up like crazy. I'm also using 5 rel="alternate" in all 5 versions of the site. Each pointing to the alternate language. 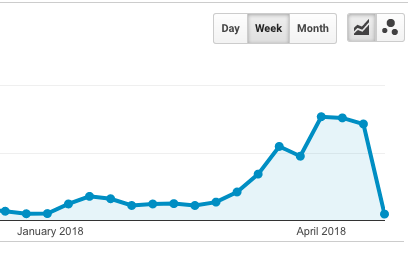 Interesting also that I saw the same exact decrement in visits in some other languages for which I have no translation, such as de or fr, while I saw the same increase in de-de and fr-fr. But it is not something happening in all other languages, for example, ja (japanese) stays the same, even tho I have no translation for it either. Here's another interesting graph regarding korean (only spoken in North and South Korea), where suddenly, all Korean browsers start reporting the country bit? Makes me wonder... could all this be due to a new versions of lets say, Chrome browser? That starts reporting things that didn't before? Anyone with any Google Analytics account can verify they are having the same results as me? Isn't es the total combination of all spanish languages from different countries? No. Google Analytics is reporting the exact browser language settings of each visitor. So for any given Spanish-language page, you will most likely see a mix of reported browser languages, e.g. es, es-ES, es-US. When you had no translated pages, your site got a mix of browser languages - mostly variants of en. But some es, ru, etc. Once you created the Spanish version with the correct hreflang tags, Google gave a big boost to that page for searchers using Google.es. Your Spanish page has no region targetting -- you're using the generic catchall hreflang="es". However your visitors do have the regional information set in their browser, so you see the big increase in es-ES. 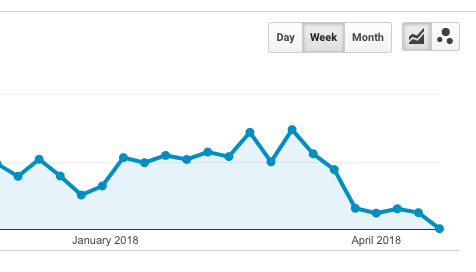 Hopefully, the increase in es-* traffic is greater than the decline in es generic traffic. But this can't be determined from your screenshots. Everything looks to be working as designed though. Not the answer you're looking for? Browse other questions tagged seo google-analytics local-seo internationalization localization or ask your own question. What is the difference between HTML lang tag and HTML hreflang tag?